We won the first major of the season! We became the champions of the first major in the Dota Pro Circuit 2018/2019 season. Our team defeated Team Secret In the grand finals with a score of 3-2. 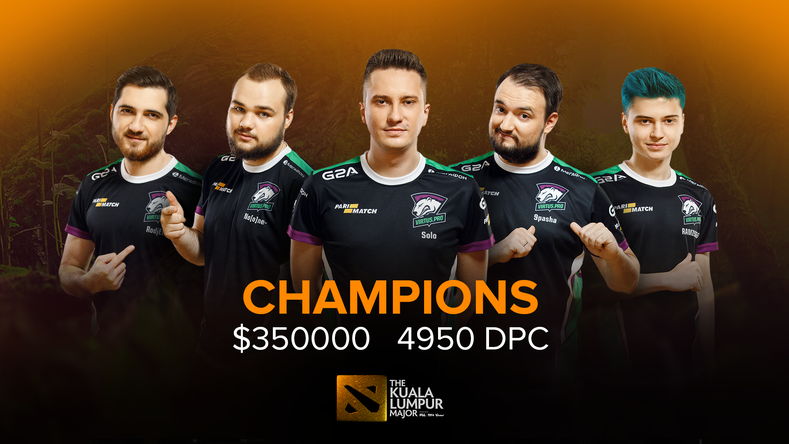 Thanks to this victory, the Virtus.pro players earned $350,000 and 4,950 DPC points.